Some furry friends stopped by the Children’s Museum of Idaho to show children how to approach and pets animals nicely. 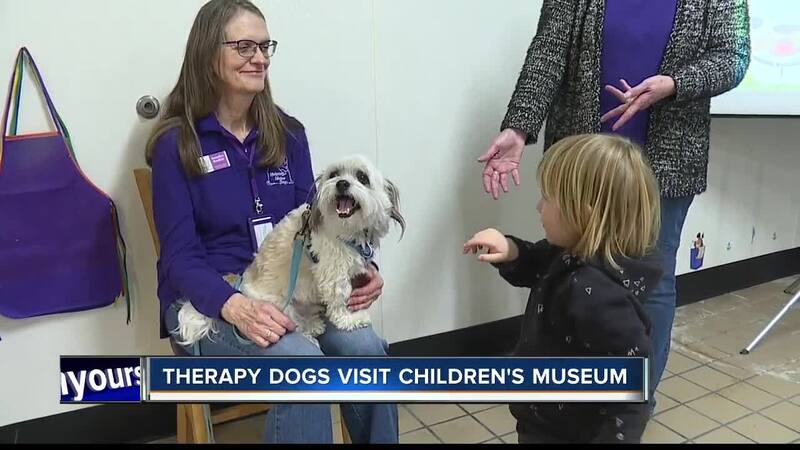 Therapy dogs and their trainers were on hand to let the little ones practice touching and petting. Dawn Lea, with Helping Idaho Dogs, says it's important to educate kids early about treating animals well. “They’re our future and how they treat our dogs will dictate how our dogs will be treated in the future and if we can help children to understand you need to be kind to the dogs when you meet them and how to meet them and how to ask whether a dog is even comfortable meeting another person is very important," Lea said. If you missed out on this event, don't worry! You can check out other events at the Children's Museum here.